I love Grant Morrison. The Invisibles had a huge, huge impact on me. 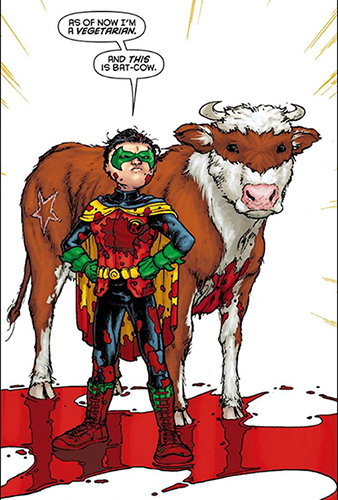 But this panel from Batman & Robin makes me ridiculously happy. It's Morrison summed up for me: meaningful, aware, and yet a little absurd in a totally meta way.